In 2016, there were around 4 million cars produced and 6.9 million cars purchased in the United States. Over the next couple of weeks, we’re going to provide you with extended knowledge of the automotive industry as it relates to promotional products, as well as offer tips to help expand your cap sales into the market. In this guide, we will look at different types of companies within the auto industry, so that you will have a better understanding of how to target each. Today, you will learn how to reach out to common decision makers in various dealerships and auto body shops both small and large. Next time, we’ll look at promotional sales to large automobile manufacturing conglomerates. After 5 years without a car payment, I recently caved and upgraded my vehicle. Once I signed away my first-born child, and agreed to a number I am still a little terrified of do you know what that salesman gave me as an appreciation gift? Logoed caps are perfect for this kind of use. They are inexpensive, easy to store and keep on hand, and reorders are a breeze. One reason car dealerships love them so much is because they average over 3,100 impressions throughout their lifetime. Many dealerships are locally owned and operated, so promotional advertising is one of the best ways for them to spend their marketing dollars. Since logoed caps will be worn locally at grocery stores, ball games, and movie theaters, they will get maximum exposure in their area. If dealerships drop big bucks for commercial spots that run statewide, they are wasting their money, because the odds of someone in the eastern part of the state traveling to the western part just to buy a vehicle, when there are dozens of dealerships in their own town, are very slim. They need trusted advertising that is going to stay local and keep their brand in the minds of their target consumers. Many dealerships participate in or sponsor local events like charity galas or Christmas parades. Logoed caps make great freebies to give away at these events. This is an inexpensive way to give attendees a favorable view of the brand. Logoed caps can also be used as a part of the uniform for employees at the dealership. A high-quality hat can be worn by the salesmen, the loan officers, and even the mechanics in the shop. This creates a sense of uniformity across the organization and helps to increase a sort of equality. 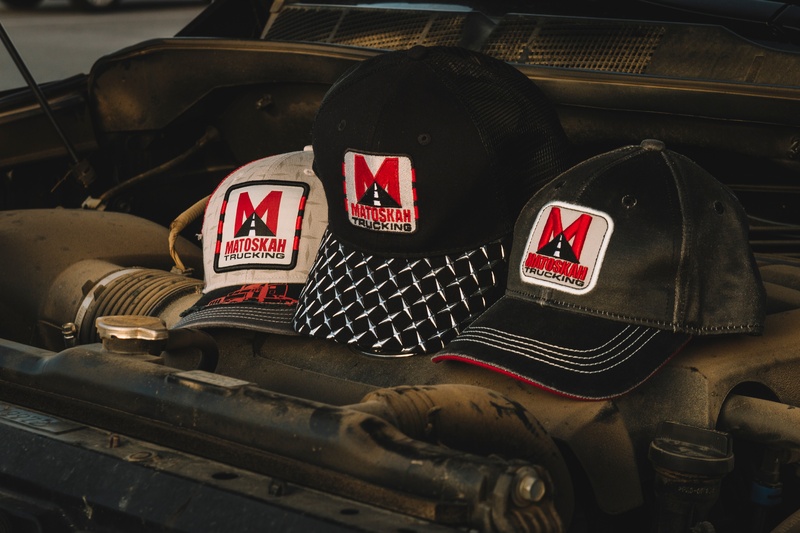 Promotional caps can be used as part of the uniform for independently owned garages and body shops as well as those owned and operated by dealerships. These are typically small family-owned businesses with not a lot of expendable income to spend on advertising. They are blue-collar workers who often live paycheck to paycheck. It is your job to convince them that logoed caps, while a small investment up front, will help to grow their business in the long run. Using the uniform angle is an easy way to get your foot in the door to make that first sale. After they wear them for a while and get a feel for the quality of the cap, it will be easier to convince them that those same caps can be used to advertise their business and get more clients. Mechanics and auto shops have an overall bad reputation for being liars and crooks. It is a longstanding stereotype that small business owners have to work diligently to overcome. Promotional hats can be very effective in building trust among current and potential customers. Think about it, when a consumer takes his vehicle in to be worked on, he is probably skeptical about being taken advantage of. After his car is fixed and he is satisfied with the work that was done, if they give him a gift thanking him for his business, that is going to increase his brand perception even more. Now, let’s take that even one step further. When he wears the shop’s hat out into the community, not only is it acting as a walking billboard for the brand, but he is also lending everyone who is exposed to the cap his personal recommendation of the business. He is showing the world that he trusts their brand, so others are likely to do the same. Car shows are local events held in communities where individuals show off their specialty vehicles. This includes old, classic muscle cars as well as new, souped-up custom cars. Owners can enter their vehicle into category-specific contests to win trophies and prizes, or simply park, pop the hood, and let others admire their handiwork. Check out the community calendars in your territories and surrounding areas to see if there are any upcoming car shows on the books. Reach out to show organizers to see how you can meet their promotional needs. Caps can be used as giveaways for attendees, door prizes, and uniforms for staff and volunteers. If it is an annual show, be sure to mention how handing out free hats to show patrons will help to promote the show for years to come. Check back next week as we dive into car manufacturers. If you haven’t sold into the auto market in the past, I think this series will open your eyes to the vast number of opportunities out there.